Clive has over 20 years of management experience. He initially trained and qualified as an Industrial Engineer in the private sector and utilised these skills in the NHS in the north east and London holding posts in finance, HR/OD, training & development and senior operational management. These roles were punctuated with posts in regeneration for a local authority and as a self-employed management consultant. Clive has extensive experience as a service improvement and organisational development practitioner and while working in a regional OD team (Learning Alliance) he trained over 1,000 NHS employees and assisted teams in over 80 organisations. 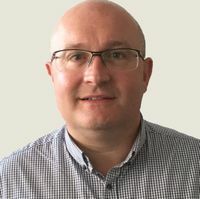 As a qualified executive coach and trained in psychometric techniques, he continues to practice in his current role as Director of the North East Leadership Academy. Clive enjoys coaching a local youth football team and playing golf. Any spare time is spent being a financial advisor and chauffeur for his three children. 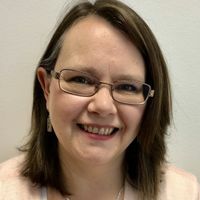 Mandi is a BPS Chartered and HCPC Registered Occupational Psychologist with over 20 years’ experience in the field of leadership and organisational development (OD) and coaching. She has worked with a diverse range of clients both public and private sector including, The House of Commons, various Housing Organisations and Local Authorities and Imperial College London. Before joining NELA Mandi combined an academic career with business psychology consultancy. She has published work in the area of resilience in the context of organisational change and is a sought after speaker on the subject. Mandi is enthused by working collaboratively with clients to develop pragmatic and engaging interventions that make a real difference. In her spare time she enjoys the countryside, wildlife and can often be spotted with a glass of red wine by a bird feeder! Debby joined the team in August 2018. Her background lies in nursing and she has worked in diverse areas including acute care, primary care and public health over the years. 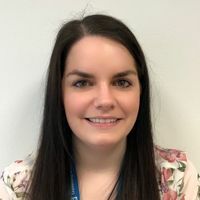 Most recently she worked for Tees, Esk and Wear Valleys NHS Foundation Trust in Organisational Development and Service Improvement roles, where she shifted to support teams to work together and deliver excellent services. She is accredited to work with the Healthcare Leadership Models, Insights Discovery and other 360° feedback tools. Debby is excited about the opportunities to support staff and services across the NHS North East and National Leadership Academies. 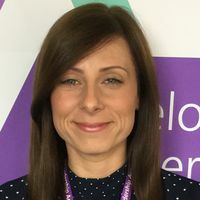 After joining the NHS in 2006, Sarah worked first in project management at Newcastle upon Tyne Hospitals NHS Foundation Trust, and then at the North East Strategic Health Authority (SHA) within the leadership and talent management team. Part of the Academy team since its establishment in 2010, Sarah leads on business management across the North East and Yorkshire and Humber Leadership Academies including planning and performance, communications, governance and finance. She is a Healthcare Leadership Model 360 trainer and facilitator, coach, and MBTI Step 1 practitioner. In her spare time Sarah is undertaking a Level 4 Certificate in Person Centred Counselling and enjoys going on adventures with her husband and two border collies. Claire joined the NELA team in March 2017 having previously worked in Health Improvement in the NHS for five years. 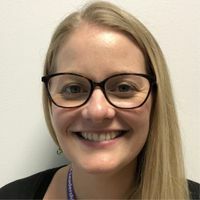 Claire is responsible for the Graduate Management Training Scheme (GMTS), supporting talented graduate trainees to become future leaders in the NHS. She is also responsible for the Academy’s Coaching and Mentoring Programme and supports the development of talent management across the region. Claire is a trained HLM Facilitator and is trained in using the MBTI Step I instrument. Outside of work, Claire loves to be outdoors with her family, walking and cycling in the Lake District admiring the views. 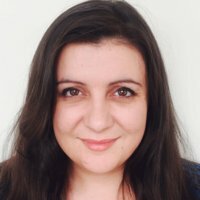 Claire is currently on maternity leave, returning in May 2019. Whilst Claire is away on maternity leave, her work will be looked after by Kitty Haylock, who joins the team after travelling through Europe for an extended period. 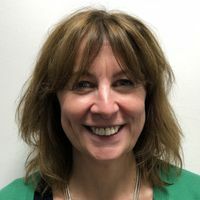 Before travelling, Kitty was a module lead on the postgraduate clinical leadership programme at Newcastle University and delivered leadership and coaching programmes through Cath Brown Consultancy. She is excited to join the team and looks forward to working with colleagues across the region. In her spare time Kitty enjoys cooking, eating and walking in the countryside. Jackie joined the NELA team in 2010 having previously worked in the financial sector as a senior customer service advisor. She is a trained Healthcare Leadership Model 360 feedback facilitator and staff support officer and is passionate about developing those around her. She has an NVQ Level 4 diploma in Business and Administration. 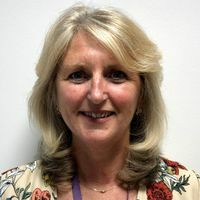 Jackie supports office management, diary management and events planning for the Academy and is responsible for the coordination, recruitment and marketing of regional programmes, whilst continuing to be the North East contact for national leadership development programmes. Outside of work Jackie is a social butterfly and is never short of attending a party or two! After working as a Nursery Practitioner for seven years, Stephanie joined the Academy as an apprentice in 2011 studying business and administration. Steph completed her Degree in Management with a first class honors, and is now working towards her Masters. Steph also won the student of the Year award whilst studying her BA (Hons) in Management. Steph supports office management, diary management and events planning for the Academy, as well as supporting the Academy's business manager with finance and business planning. She is also a trained Healthcare Leadership Model 360 feedback facilitator. In her spare time, Steph enjoys spending quality time with her partner and two children, going for long walks in the countryside. 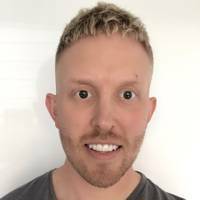 After working in both acute and secondary care within the NHS for the last 10 years, Martin joined the Academy in 2018 as a Business Support Officer. Martin has recently completed the Mary Seacole Local programme. Martin supports office management, finance, reporting, social media, communications, engagement and marketing. He is due to leave the Academy mid-May 2019 for a career at the Business Services Authority as Liaison for Overseas Healthcare. Outside of work, Martin enjoys spending time walking his dog and entertaining his six nieces and nephews, as well as his two God-Daughters. Ashley joined the team in January 2019 after previously working for the County Durham Drug and Alcohol Service for the last 10 years. Ashley is responsible for all clerical support to the team as well as ensuring the smooth running of day to day events within the Academy. In her spare time she enjoys spending time with her family, visiting the Lake District as well as attending live music concerts and festivals.